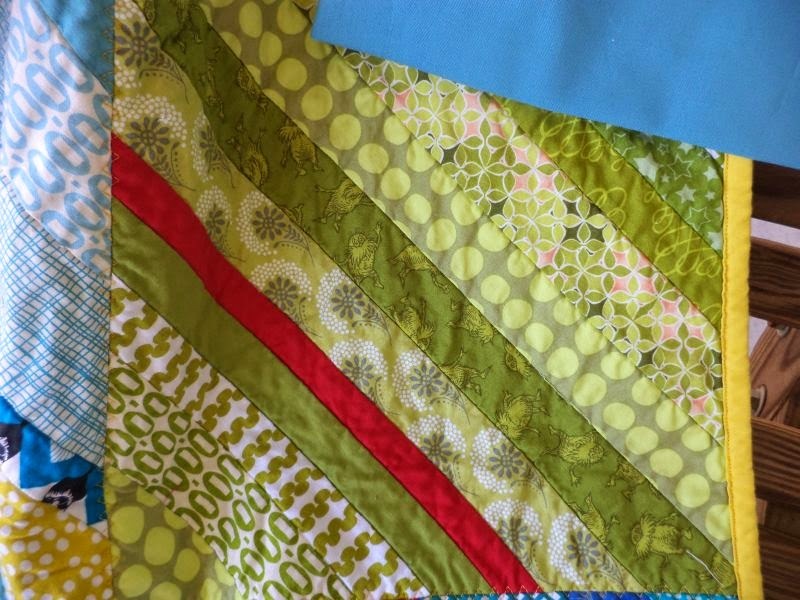 This Friday's Finish is the January quilt for my do. Good Stitches group, the NURTURE circle. It was my month to be quilter again and I chose a foundation pieced QAYG design. Everyone sent in their two string blocks pieced onto various types of batting by Feb. 9th and I got the quilt top assembled that very night! I tried several different arrangements but this rainbow one was my favorite by far. I pressed the block seams open (lesson learned- not all battings are hot-iron safe.) 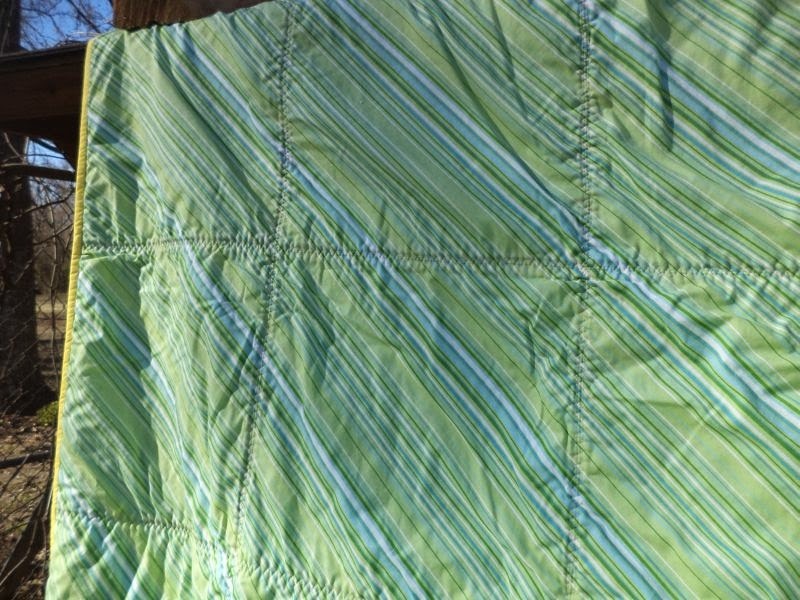 Then applied the backing and quilted along the open seams with the triple zig zag stitch on my machine. This held the layers together and tamed the bulky seams that are the nemesis of QAYG. Because of the foundation piecing the only quilting visible on the back is the grid of zig zag quilting that holds the layers together. 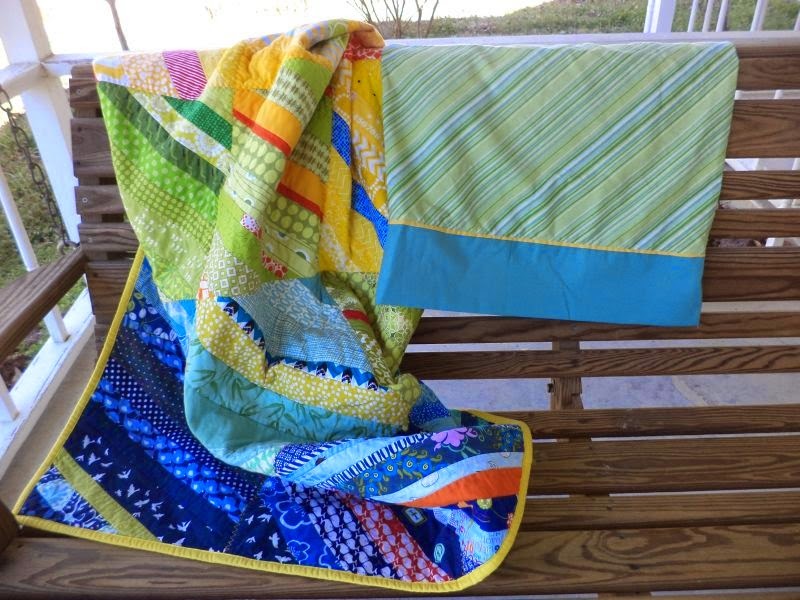 Our circle makes quilts for My Very Own Blanket, a charity that provides quilts for children in foster care. 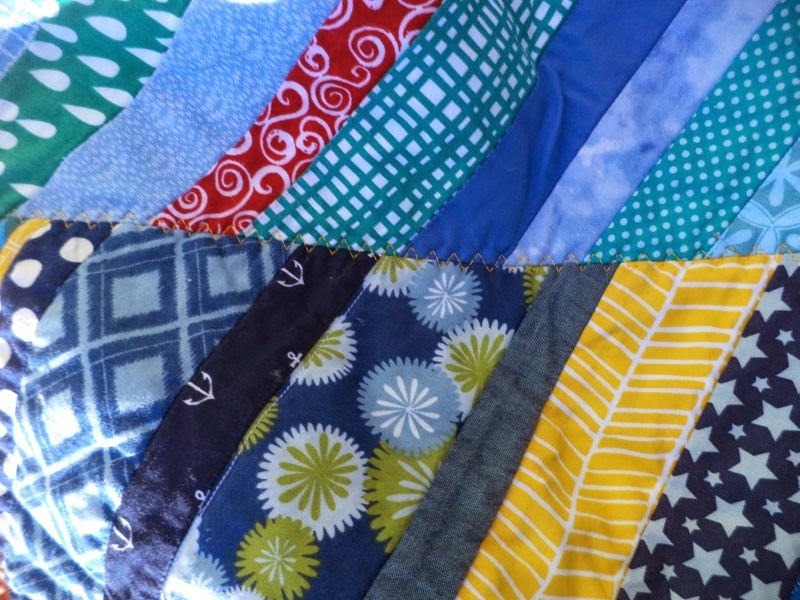 One of our members was recently able to visit them and as a result of what she learned we are trying this year to make more boy-friendly quilts and to include matching pillowcases with our larger size quilts. Our members did a great job of picking super cute, boyish fabrics in the strings they used, like these whales and teepees. The quilt finished at 48" x 60" and will be shipped inside its pillowcase to the MVOB workshop. Huge thank you to the ladies of the Nurture circle, who are always good sports and get their blocks sewn up in record time. Thank You! If you are interested in making a similar quilt my original tutorial can be found here. 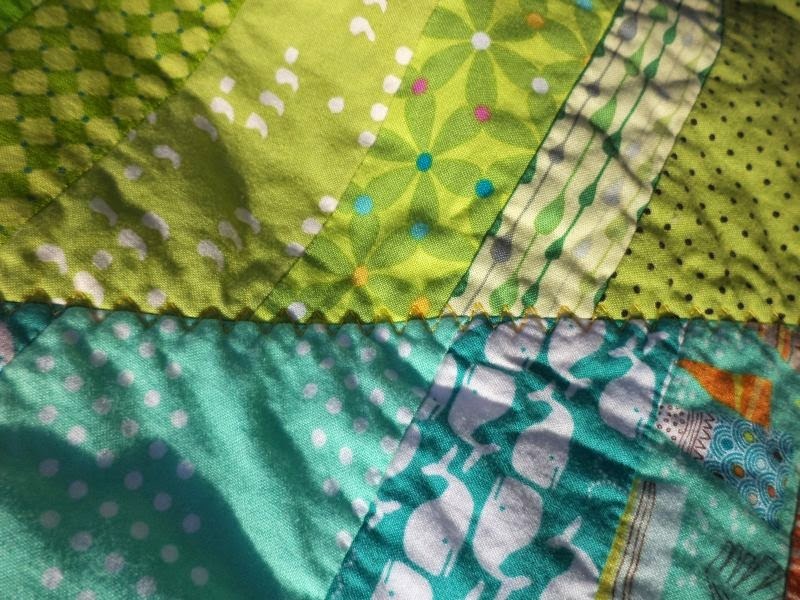 Linking to Friday Finishes at Crazy Mom Quilts. So much to look at in those little strips. I think everyone chose their fabrics well. And the pillow case is a very nice addition. 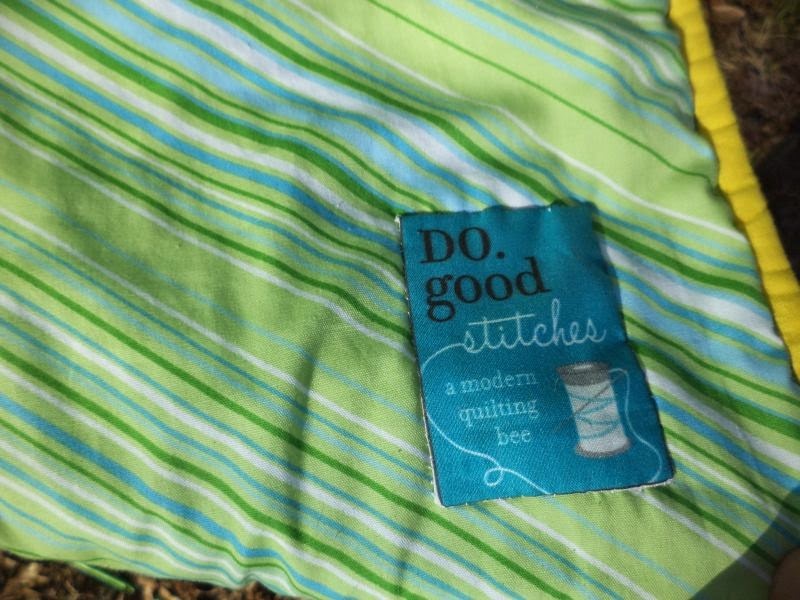 Great quilt, Kat and such a deserving cause! Beautifully done! I, too, love the gift wrap of the matching pillow around the quilt. 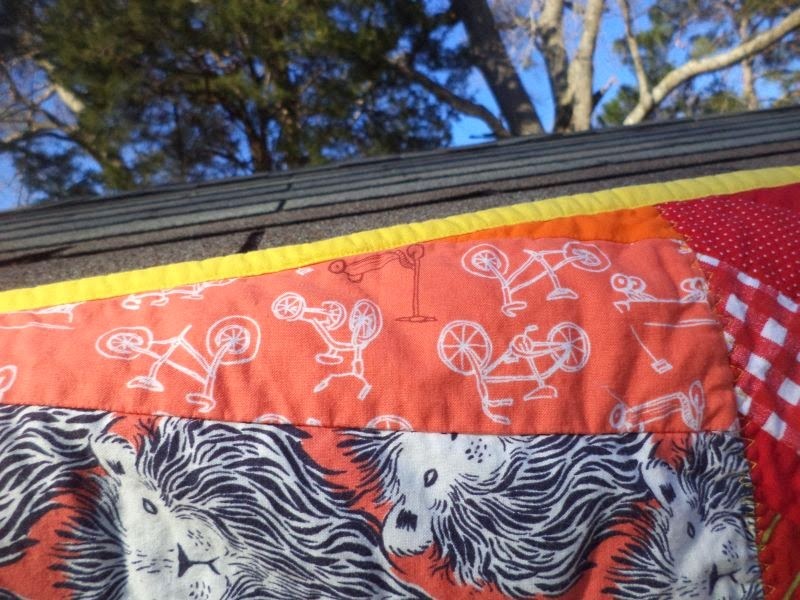 As a former adoptive/foster parent, I know this blanket will be deeply appreciated. 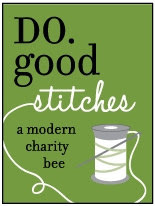 What a wonderful cause! 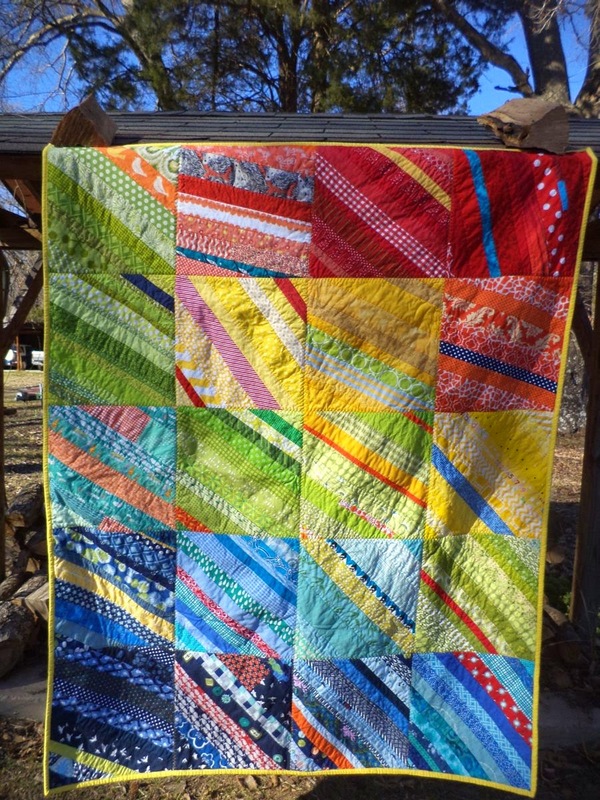 I love string quilts and this one is so very fun!!! That is a fantastic quilt!! I LOVE the colors! Oh that is absolutely gorgeous! I love the rainbow arrangement, it's like looking at a rainbow through a kaleidoscope! 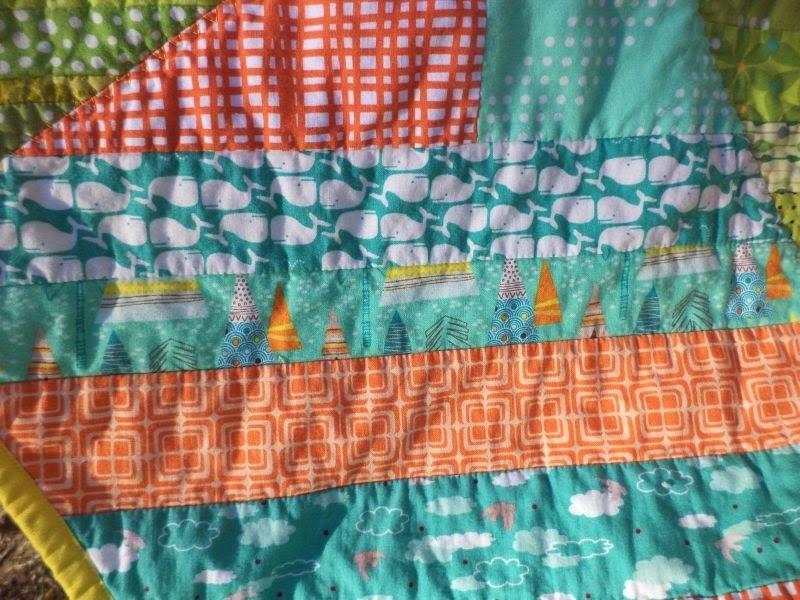 It is a lovely cheery quilt! Thanks for the tip about zigzagging those joins. I want to try QAYG, but the bulky seams were putting me off. It looks great! I love the zig zag stitches!